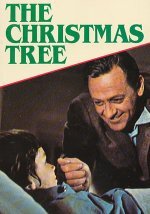 Between father and son there's a feeling that cannot be put into words..It's been put on film.. "The Christmas Tree" A film by Terence Young, starring William Holden, Virna Lisi, Bourvil. Learning that his son only has six months left to live after being exposed to a nuclear explosion, William Holden is determined to make them the happiest of his life. He meets his son's every wish including buying him a blue tractor and stealing a pair of wolves from the zoo.